We have been talking about the nativity story all week. I asked the students what present they would give baby Jesus. I loved hearing all of their adorable ideas. All the way from a soft pillow to a real cheetah. 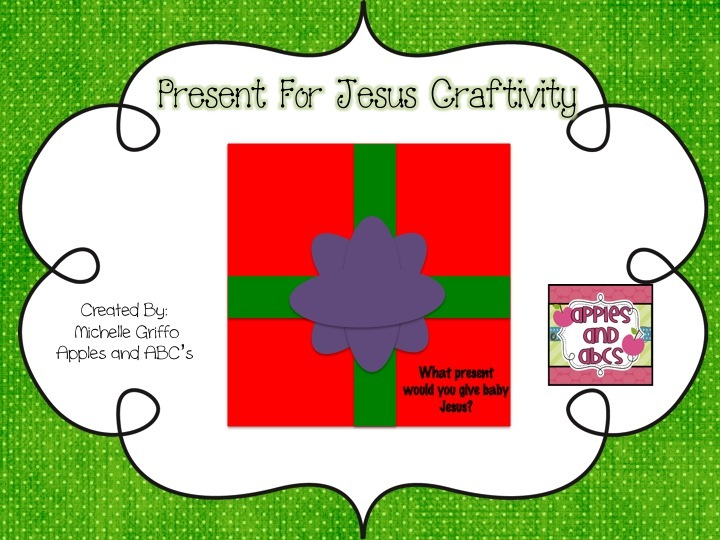 Here is a Present for Baby Jesus Craftivity! The top part of the craft is a present for Jesus, and under is their response to what they would give him as a present. There are three different response sheets depending on their writing ability. With my students, I had them draw a picture of what they would give Jesus. I love this! What a fantastic idea. Also, thanks for your sweet comment on my blog,teaching the littles. I am so glad you like the name! I was a little worried it sounded funny, but not any more! I am off to buy this craftivity!